Did you hear the news? Dora is traveling across Canada! Dora The Explorer Live! Search For The Lost Toys kicks off the tour in April 2015 (in Regina on May 19th, 2015) but you can order your presale tickets from 10am (local time) January 27th to Thursday, January 29th at 10pm with the special presale code SWIPER. Visit the tour website for a listing of tour dates and cities. 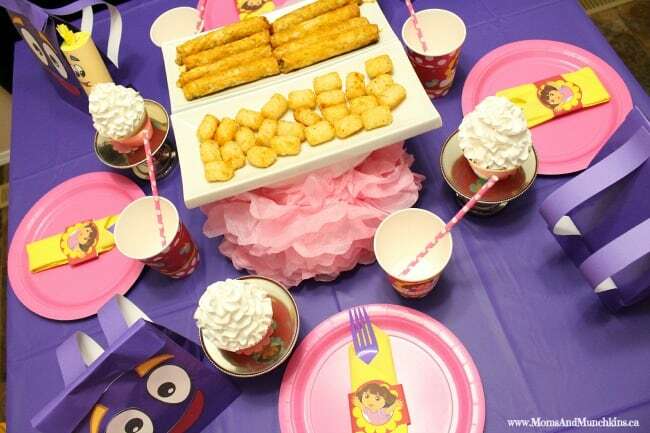 To celebrate this exciting news, I’ve put together an easy Dora party table that you can easily recreate with these free Dora printables! 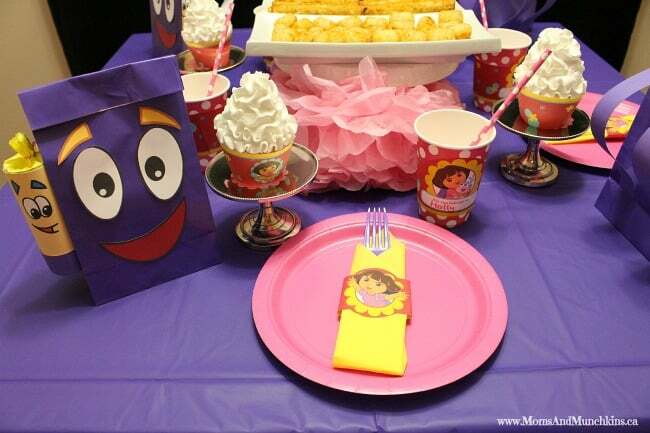 You don’t have to wait for a birthday party to host a little Dora dinner party! 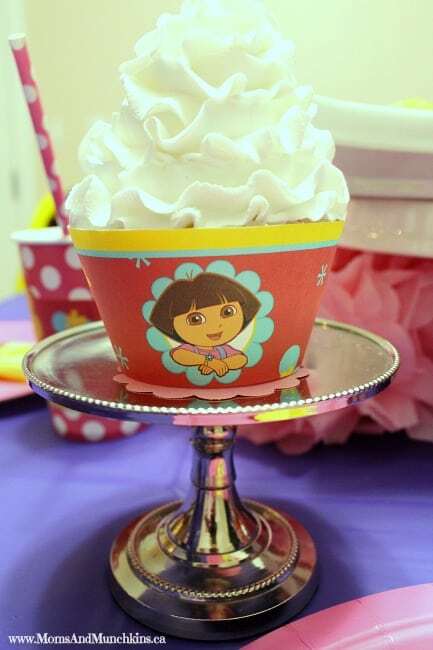 Setting up this table is really easy to do and your little Dora fans will love it. I started with a simple plastic purple tablecloth, pink paper plates, pink polka dot cups and straws. 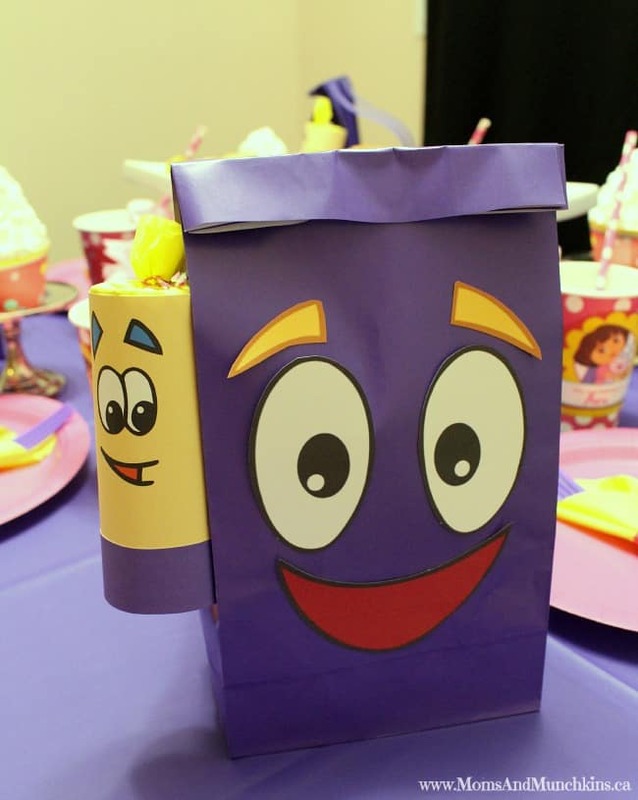 I then printed the cup wrappers, cupcake wrappers, napkin rings and backpack favor printables to decorate in the Dora theme. I love these backpack favors with the map! 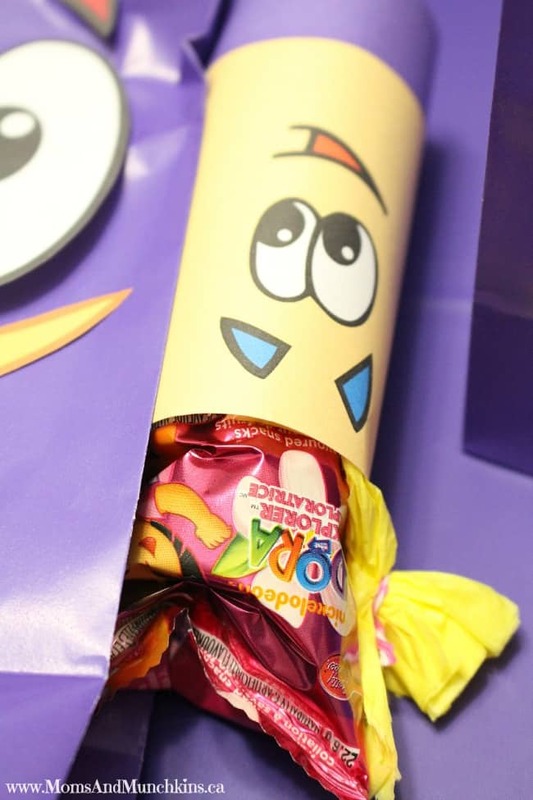 I used the yellow map printables with a toilet paper tube to create a fun party cracker filled with Dora fruit snacks. Here are easy instructions for creating a party cracker with tissue paper. 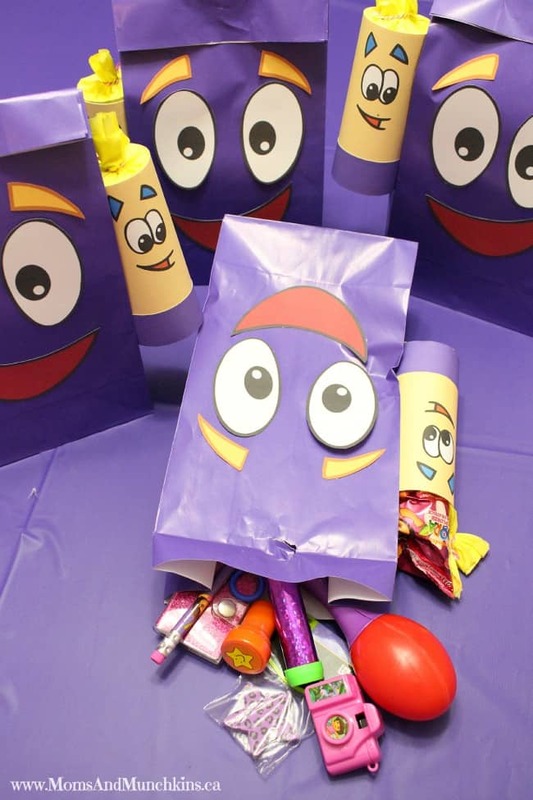 I found the purple paper bags at our Party City store. Want to surprise your kids with tickets to the live show? 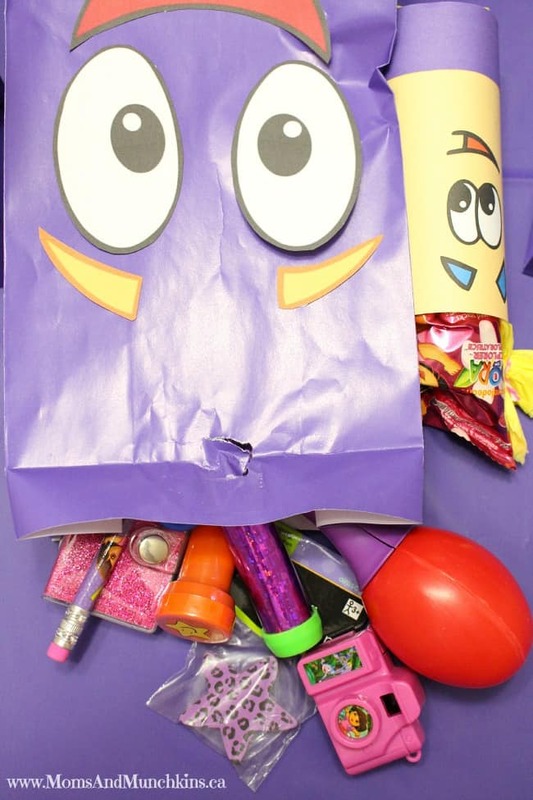 Create a fun map with clues to go inside the map portion of the favor bag and have them complete a little scavenger hunt to find the hidden tickets. Watch out for Swiper as he’s sure to set up little obstacles along they way! This show has been incredibly popular worldwide in regions such as United Kingdom, Australia, Europe, North America, and South America. Your little Dora fans won’t want to miss this show! Would your little one like to meet Dora? In select cities, VIP tickets are available. 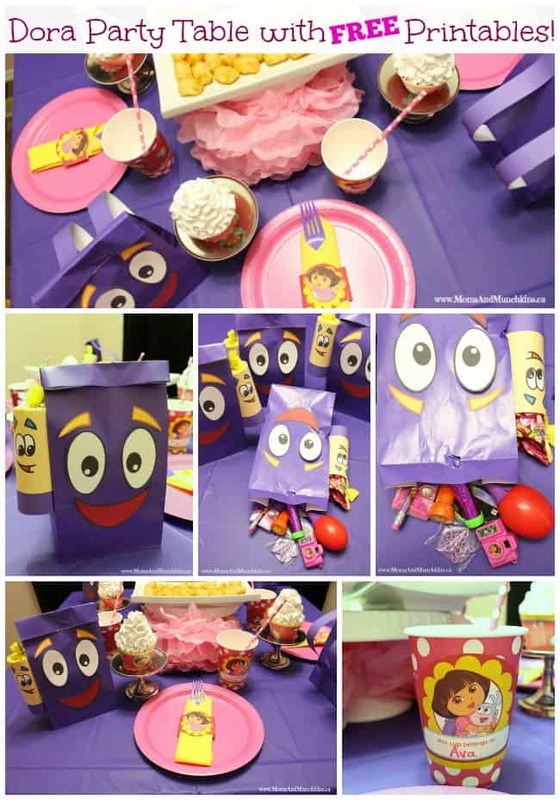 For more party ideas, visit our special Birthday Party page. When I click the link for the free printable sit goes to the nickjr site there is nice printable a there for these. Hi. 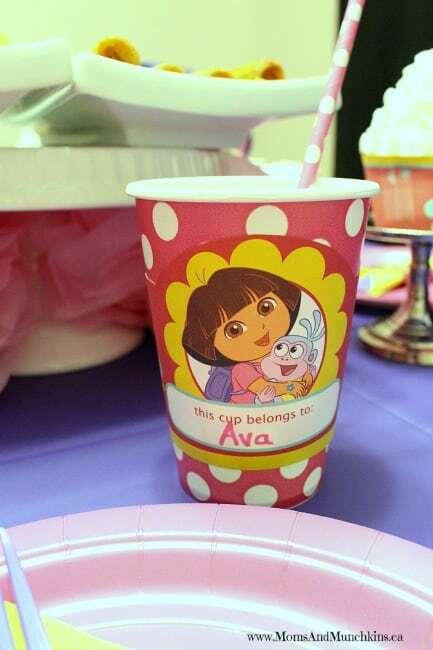 The Dora printables are so cute. I am not finding the free printables when I click the links above. Are they still available? Thanks.